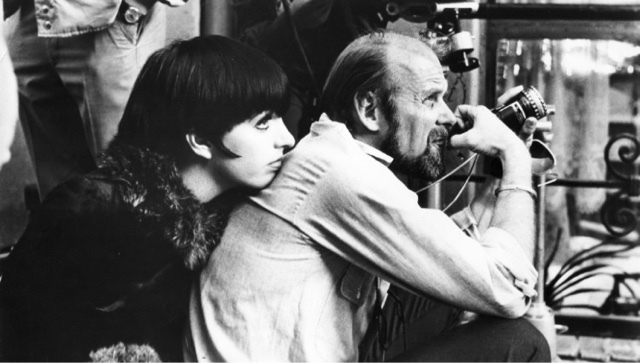 Choreographer, actor, writer, director: Bob Fosse wore many hats—aside from the bowler that became his trademark. A live wire who galvanized musical theatre and movies alike, he won nine Tonys, three Emmys, and one Oscar—the latter for Best Director (Cabaret). The Chicago native attended dance school as a teenager and staged numbers at the burlesque houses where he emceed. Debuting on the Great White Way in January 1950, Fosse also performed on television shows a few blocks away, and through several collaborations with Stanley Donen, quickly became the entertainment industry’s most sought-after choreographer for stage and film. The leap into the director’s chair followed—though he was never one to sit still for long—and by the 1970s he had joined the front ranks of American filmmakers. Drawing upon his own life and expanding his art without filters or limits, he guided his actors to transform physically and emotionally, yielding movies (and moves) that stun and exhilarate. So snap your fingers, roll your shoulders, and get ready to be knocked back in your seat by a man whose last name became shorthand for both dynamism and dynamo.